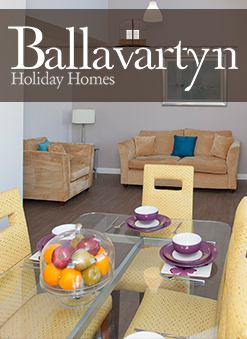 Only five minutes from Douglas, the capital of the Island, and ten minutes from Ronaldsway Airport, Ballavartyn offers world class equestrian facilities, including an Olympic-sized indoor arena, incorporating individual stable units, a similarly sized outdoor arena and an all weather surfaced exercise track. Adding to the natural beauty already surrounding Ballavartyn, the Equestrian Centre adds its own magnificent scenery with lush open pastures and picturesque settings. Riders of every skill level may enjoy a daily commune with nature as they tour along safe and secure bridle trails, spanning approximately 80 acres. 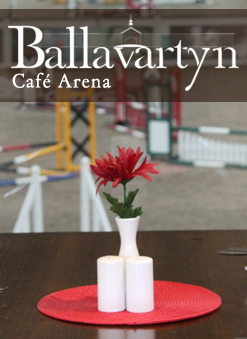 Ballavartyn Equestrian Centre also offers three stall stable blocks, many acres of post and stall paddocks, a training and teaching arena and an indoor horse walker. Visitors to Ballavartyn can make use of the heated wash area for their mounts as well as an equine solarium and a large animal hospital, designed by a local veterinary surgeon. 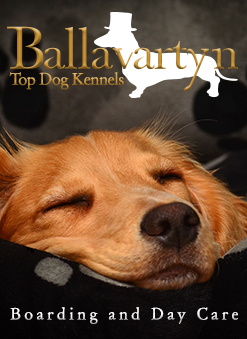 Ballavartyn, which means Martin’s Farm in Manx Gaelic, also has facilities for those who do not wish to ride but simply want to enjoy the superb amenities the Centre offers. This is our cheapest monthly package, we'll provide Stabling, Haylage or Hay, Grazing and allow you use of Indoor & Outdoor Arenas (subject to bookings). You do the rest. Providing all the access and benefits of the basic package, Premium DIY Livery adds our Bring In or Turn out service running Monday to Friday each week. Moving up to Part Livery you'll still benefit from everything we offer under premium diy but we'll do all the mucking out, rug changes and provide their feed and bedding. Our top of the range package including everything from part livery, and adds daily grooming, twice weekly exercising and weekly tack cleaning. All in!